I love black and white. No, let me clarify – I love high contrast black and white! Something about black and white brings a new dimension to photos, at least for me. While there is usually gorgeous colors at weddings, sometimes I like to go a little black and white, like I did at this recent wedding. 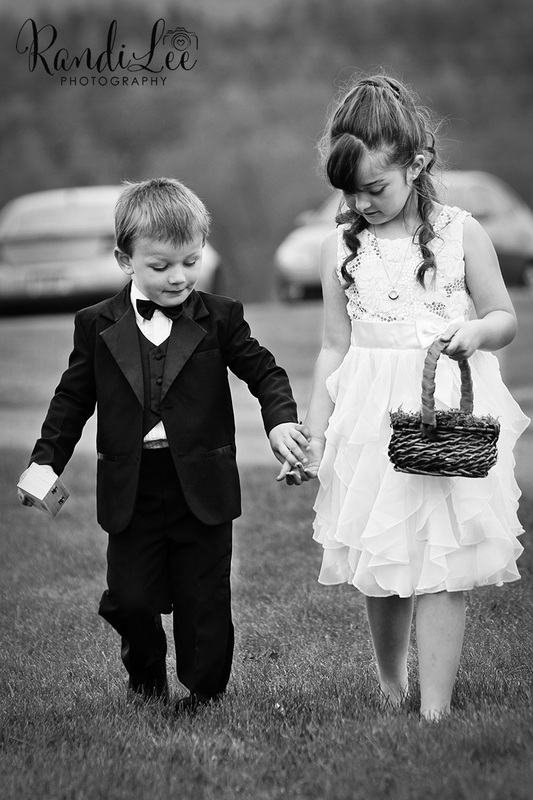 This little ring bearer and flower girl were walking down the aisle at the grassy outdoor wedding and unfortunately behind them were some pretty unattractive vehicles. Now there was absolutely NO way I was going to stop the ceremony to ask if they could move the cars for one photo! And while I could have taken an hour to get the vehicles out of the photo I knew that the little tufts of hair from the little girl would make the photo look a little off, so I decided to try black and white first to see if it helped and, it does! In color you immediately look at the vehicles because the little girl and boy and in black and white. When I equalize the black and white throughout the whole photo your eye goes where it should, to the adorable munchkins! Black and white can also add age to a photo as well. We actually found this dresser in the barn – seriously! We spotted it a few days before when we were scouting locations and since it was a Vermont wedding we knew that we just had to use a barn – imagine our surprise when we found this gorgeous dresser! Both the bride and I had the same time, to do a reflection shot, and it came out gorgeous! I found, though, that it looked a little more “aged” when I turned it black and white, and while I kept a color version for the client as well, I had to show you this one! Black and white, of course, works great for silhouette shots as well! I’ve been having a lot of fun learning how to do better and better silhouette shots and I’m in love with this one, mainly because of the fact that while they’re silhouetted, you can still see glimpses of their faces and little details in the flounce of the dress. 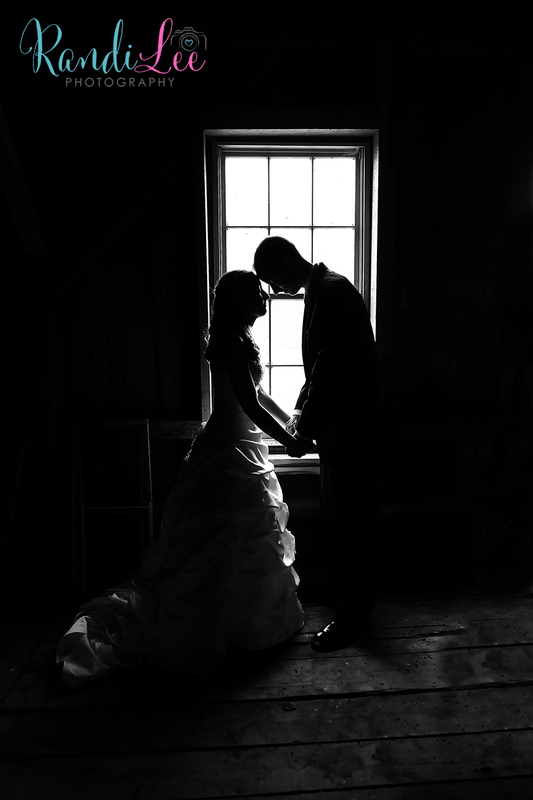 Black and white is definitely fun for me, but I always keep the color version of every photo as well, as you never know if a Vermont wedding client will want to have the photo in black and white or in color!